Welcome to Stepping Out Dance Factory. We hope that you are enjoying your first weeks with us. Please ensure that you have completed your online registration or brought in your enrolment form to Gail in the office to ensure that your enrolment with us has been finalized. We love everyone’s enthusiasm and are thrilled to be welcoming so many new families to Stepping Out. Here are some important dates that are already finalized for the year and we ask that you take note of these in your diary. It’s going to be a big and wonderful year at Stepping Out. IMPORTANT DATES COMING UP & CONCERT 2015 DATES. FOR ALL THE BUSY MUMS & DADS WHO LIKE TO BE SUPER ORGANISED, HERE ARE SOME DATES FOR YOUR DIARY. We will add Important Dates as they are made available to us. UNIFORM Though we don’t have strict uniform policies we do ask that our students take pride in their appearance and come dressed looking and feeling like a dancer. Our website has a comprehensive uniform guide and Gail in the office is able to help you with any orders you may need for shoes or attire. We have been absolutely delighted at how our gorgeous students have presented for class and we ask that you keep up the good work. Please ensure hair is tied back from face. We would like everyone to have correct shoes by mid term as it is essential to the development of correct technique and adherence to safe dance practices. We would also ask that all students bring a water bottle to class to stay hydrated. MONDAY JUNIOR BALLET & JAZZ Wow! What a full house we enjoyed in our Primary Ballet and 6-8 years Jazz classes on Monday?! These classes will be now using teacher assistants but we would also like to take this opportunity to inform you that we will also be offering these classes on a Thursday afternoon with Miss Georgie at the exact same times. If these times are convenient we would love to see you there. We are also offering additional Ballet technique classes on Thursday nights in Intermediate Foundation and Intermediate, which we highly recommend for our ballet students. 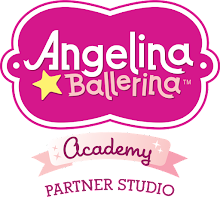 ANGELINA BALLERINA & LITTLE STARS Stepping Out has a very large preschool department and offers 8 different classes for our little stars with big dreams. We are so passionate about teaching little people and have thoroughly enjoyed our first precious meetings with them. 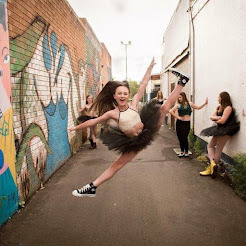 We have posted a blog post on our website www.steppingoutdance.com.au under Dubbo News about what to expect when starting dance classes that may be useful to many parents settling their child into this exciting journey. ADULT JAZZ Why should the kids have all the fun? Follow the call of the disco ball and come and join in Miss Emma’s funky Jazz Class on a Tuesday night between 7.15pm and 8.15pm. It really is the ultimate work out plus you get to have a lot of fun and share some laughter and positive energy with a great bunch of people. These times will be effective from 18th February. A separate note will be sent home with times for our Choreography Workshop this weekend 21st & 22nd February. WE ARE SO EXCITED TO EMBARK ON THIS WITH YOU. A lovely team spirit is already developing between our students which I know we will extend to our fellow competitors throughout Eisteddfod season. PRIVATE LESSONS Private lessons are available with Miss Georgie, Miss Emma & Miss Rikki. Vacancies are limited so please send requests to our FB page inbox or rikki@steppingoutdance.com.au. Classes are charged at $25 a half hour and payable to your teacher at the time of the lesson. Please be aware that it is soloists responsibility to enter their routines for any eisteddfods they wish to enter. Thank you once again for choosing Stepping Out Dance Factory in 2015. For all the latest news ,pictures and fun events at Stepping Out please like our Facebook page and follow us on instagram @steppingoutdancefactory. STARTING DANCE CLASSES- What to Expect?